In the first study of its kind, researchers characterized the skin microbiome of a population of free-ranging snakes to begin to understand how the animals’ environmental microbial community may promote disease resistance as well as how it may be disrupted by infection. 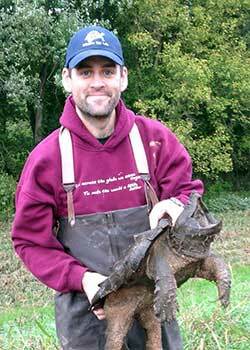 Dr. Matthew Allender founded the Wildlife Epidemiology Laboratory at the University of Illinois College of Veterinary Medicine and is also an affiliate of the Illinois Natural History Survey in the university’s Prairie Research Institute. The study, which was recently published in Scientific Reports, a Nature research journal, focused on eastern massasaugas in Illinois. 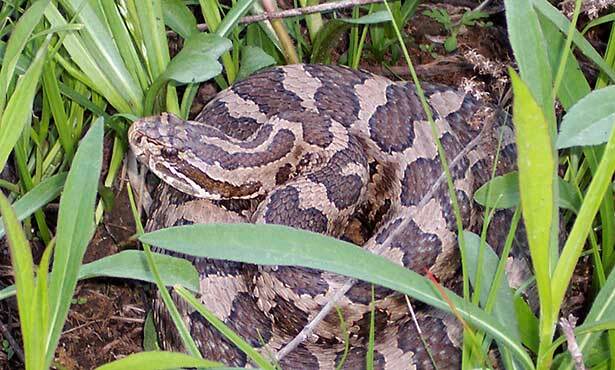 This species of endangered rattlesnake is highly susceptible to the fungal pathogen Ophidiomyces ophiodiicola, which causes snake fungal disease (SFD). SFD results in disfiguring sores on snake skin, has a high mortality rate, and poses a significant threat to snake populations in North America and Europe. The mechanism by which the pathogen causes disease is unknown. 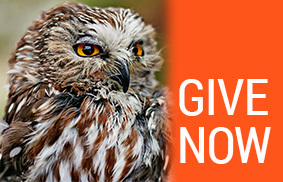 Dr. Allender, who heads the Wildlife Epidemiology Laboratory, has been investigating SFD for more than 8 years. In 2014 he introduced a quantitative polymerase chain reaction (qPCR) test to quickly identify the fungus from a swabbed sample. Based on their analysis of 144 skin swabs collected from 44 snakes in 2015 and 52 snakes in 2016, all near Carlyle Lake, Ill., researchers determined that infection with SFD altered the bacterial and fungal diversity of the snakes studied. On the infected snakes, Ophidiomyces was present even at locations on the snakes’ bodies distant to the open sores, indicating that the skin’s entire microbiome is altered by the infection. 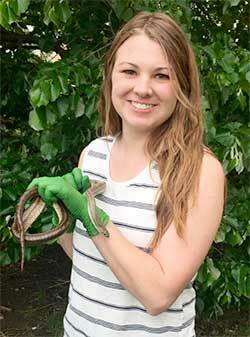 Illinois veterinary student Megan Britton worked in the Wildlife Epidemiology Laboratory. No Ophidiomyces spores were detected on SFD-negative snakes, as would have been expected had those snakes’ microbiome proven protective against the pathogen. Findings related to the specific bacteria and fungi found in greater or lesser abundance depending on the disease status of the snake are detailed in the study. “Disease-causing organisms function within the community of microbes that colonize the snakes and their environment. Success of the pathogen is governed by interactions with the skin and soil microbiome and survival in the environment,” said study co-author Angela Kent, professor in the Department of Natural Resources and Environmental Sciences who directs the Program in Ecology, Evolution, & Conservation Biology in the School of Integrative Biology at Illinois and is an affiliate of the Carl R. Woese Institute for Genomic Biology. The researchers believe their findings will have broad relevance to other snake species and habitats and will provide insight into mechanisms of pathogen emergence, fluctuations in wellness of individuals, and development of therapeutic interventions. Additional coauthors on the microbiome study include Dr. Sarah Baker, a postdoctoral researcher at INHS, and Megan Britton, who will complete her veterinary degree at Illinois in 2019.